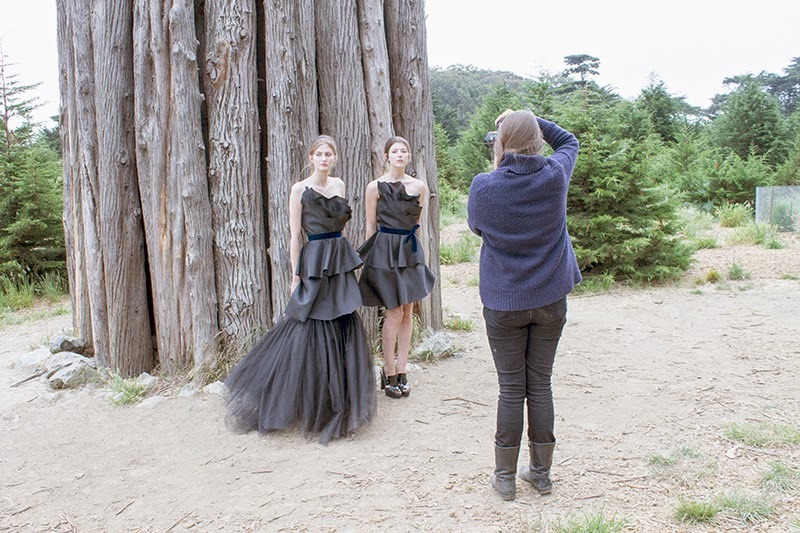 In my 6 years of experience shooting lookbooks, I finally have photo shoot prepping down to a science. Before each shoot I prepare with my list of handy things to cary on location. Snips, double stick tape, tissue, bobby pins, all ‘must haves’ while shooting on location. I no longer let my pride get the best of me – I come prepared wearing the most comfortable outfit & a tiny backpack (as opposed to a fanny pack) to conveniently hold my necessities as I know I’ll be running around snipping threads and lint rolling dresses during the shoot. Still – with days of preparation for the photo shoot – I’ve come to learn at least one thing will go wrong during the shoot. This season, it was camera and cell phone chargers. I nearly had a heart attack when my photographer’s camera battery died on location – but to my relief we were able to solve the problem right away. My dead Iphone, on the other hand, was not an issue which we managed to fix. Lucky for me, our entire team shot some ‘Instagramable’ photos for me to make up for my loss. As I always set out for perfection when shooting my lookbooks – I’ve finally come to terms that a photo shoot never goes 100% according to plan. This season the lookbook shoot actually went really well – compared to seasons before where I have gotten my team lost up the coast at 11pm on our drive home from the shoot. Or the time we were kicked out of our shoot location because they didn’t allow photo shoots during the spring. And there was that time one of our models got carsick on a road with no lanes to pull over which resulted in a mess on the exterior of my car. It’s always an adventure when shooting for Alyssa Nicole – I’ve come to learn that life is about the journey – luckily I have the best team beside me so together we can enjoy every step of the way.